Custom Fabrication – Yes, We Can Make It! All of our locations are fitted with equipment for custom tube manufacturing and hose assemblies while you wait. If you’re having trouble finding that replacement complex custom angle, we’ll make it. Whether it is standard or metric or no matter the size, WE CAN MAKE IT. Damaged hose? 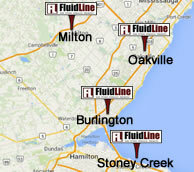 FluidLine can repair or fix any of your damaged hose on-site or in-shop. If you need a hose assembly made out of rubber, teflon, metal or thermoplastic materials, Fluidine can handle the job. 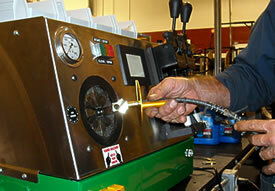 We also offer complete testing and inspection of our hose assemblies. For more information please contact our fluid power specialists. Contact us and we’ll get you up and running again.